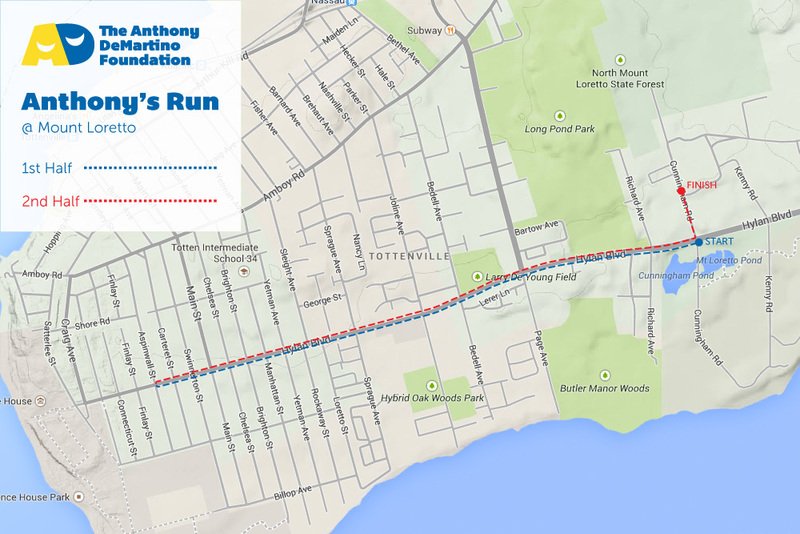 Anthony's Run will be held on June 21, 2015 at Mount Loretto, Staten Island, NY. Whether volunteering, participating in a fundraising event, or making a donation, your support is greatly appreciated. Your donation is tax-deductible and greatly benefits this worthy cause. If you would like information on how to become a sponsor, please contact us via e-mail or phone.